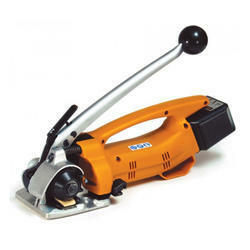 We are one of the leading manufacturers , traders & exporters ofBattery Operated Strapping Tools. We are one of the leading manufacturers , traders & exporters ofPlastic Strapping Machines. 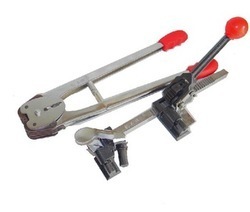 We are one of the leading manufacturers , traders & exporters ofManual Strapping Tools. 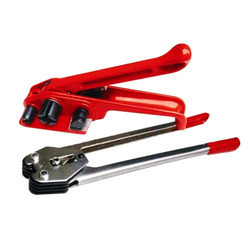 This set contains Tensioner & Sealer. 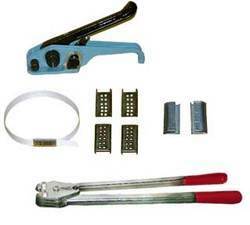 Tensioner is used for tensioning the strap & sealer is for sealing the strap with serrated seals. This is an exclusive option for pallet packaging with P.P. strap. It holds the strap perfectly in any position. Looking for Strapping Tools ?